Live music performed by Alice Osborn in the STARworks Cafe and Taproom. No admission fee, but tips for the performers are very much appreciated. All ages welcome! Based out of Raleigh, NC and rooted in the New South, Alice Osborn's Americana music is truly homegrown. An accomplished poet, she incorporates history, as well as the call of home and identity, to influence her folk vibe on acoustic guitar. 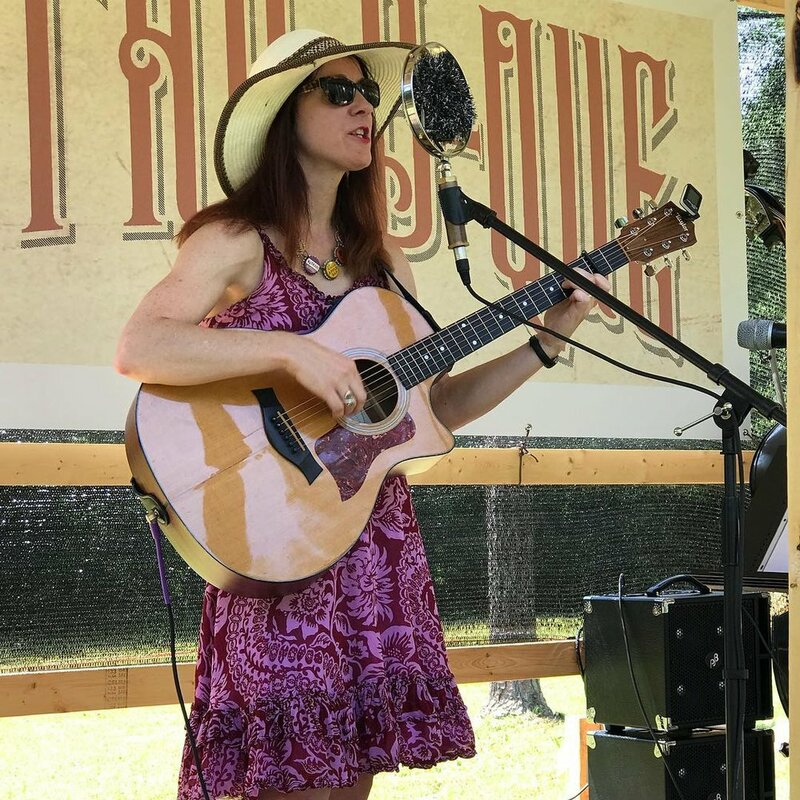 Heroes without Capes is her most recent collection of poetry and Old Derelicts is her most recent CD featuring crowd-pleasing favorite originals. Previous poetry collections are After the Steaming Stops and Unfinished Projects. Alice is the recipient of a United Arts Council of Raleigh and Wake County 2019 Professional Development Grant; she is also the artist-in-residence for the Western Wake Farmers' Market, a senior docent at the NC Museum of History, and she also plays Celtic fiddle and bluegrass banjo. She lives in Raleigh, North Carolina, with her husband, two children, and four birds all named after musicians. You can check out her music at www.reverbnation.com/aliceosborn.